NO COFFEE FOR 4 DAYS!!!!! A few weeks ago, rather than lounging by the pool at the Four Seasons Hotel in Bangkok, I signed up for a full day of medical tests and exams at Thailand’s Bumrungrad International Hospital. The results… I’m healthy. Very healthy! In fact, my doctor said he had only seen 3-4 other people the week prior as healthy as me! In that moment, all I could do was laugh. Then my doctor laughed. Then I stopped laughing and looked straight into his eyes. Then he stopped laughing. Then I asked if he was serious. He said yes. Then I asked if he would be interested in being my new doctor. I did a cold pressed juice cleanse. Cold pressing is the closest thing to raw, pure vegetables, allowing for a more concentrated amount of nutrients, that would be impossible to achieve by eating raw vegetables alone. Because of this, cold pressed juices should be consumed within 2 days of pressing. Since Pressed Juices is only one block from my home, I decided to pick-up my juices each morning for maximum benefit. Unlike the majority of juice cleanses out there, those loaded with sugary fruit juices, mine leaned heavy on vegetables. In fact, I only had one fruit juice per day (known as the happy hour). I do not eat greens, so I knew this cleanse would be challenging. But honestly, my low points (and I had a few) had nothing to do with the taste or lack of chewing, but rather stemmed from the never-ending headaches. Also, I never realized until this week how much I think about food! What’s for lunch?… What plans have been made for dinner or drinks?… having that huge factor removed, made me feel a little bored. My daily cleanse consisted of 4 bottles of vegetables (Greens 1, Greens 3 and Earth 1), 1 fruit (Zing 3), 2 waters (1 chlorophyll and 1 aloe vera) and 1 smoothy (Nourish). On top of that, I had two cups of mint tea (which I really grew to love the ritual of making each day) and 2 liters of regular filtered bottled water. Oh, yeah… and one bottle of Tylenol. I kept telling myself the cleanse wouldn’t be hard. But once I got going, it was hard. I guess if it were easy, more people would do them. 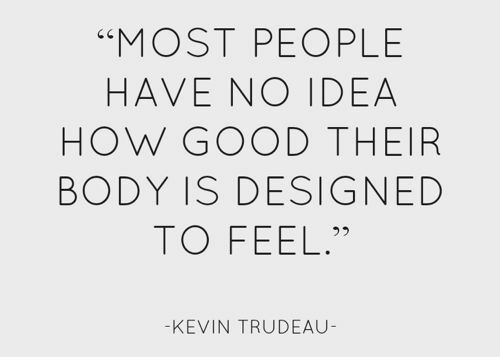 Detoxification is hard work on your body and mind. I quickly felt my body changing. All kinds of stuff was happening internally and I quickly learned how important it was to take it easy and allow my body more rest, more sleep, and more quiet time. Throughout the cleansing process, I documented what I was feeling and experiencing so I could provide some real… according to Ken insight. Day 1: 8:00am- Although the juice shop is only a short block from my home, in this humidity, I was ready for my first juice the second I arrive. And because of the heat, I easily downed my first Greens 1 (celery, cucumber, kale, lettuce, parsley and spinach) without much hesitation. After a full day of light headaches from the day prior’s pre-detox with no coffee, I couldn’t bring myself to passing Starbucks for a second time. Being new at the whole tea thing, I ended up ordering a mint tea (no caffeine), rather than my usual black eye (bold coffee with 2 shots of espresso). I immediately felt better having that familiar cup in my hand for my morning commute across the harbor. It’s now 11:00am, and I just finished Earth 1 (beetroot, carrot, celery, cucumber, kale, lettuce, parsley and spinach), along with a cup of mint tea and about half of the Refresh 2 (chlorophyll filtered water). Typically, I would have already had a litter of regular filtered water, but I don’t feel dehydrated… at all… and I don’t think I could handle any more trips to the restroom. The detox is in full swing! It’s 2:00pm- I’m back from my daily workout at the gym downstairs and just finished my Greens 3 (apple, celery, cucumber, ginger, kale, lemon, parsley and spinach). I don’t normally eat greens, but the taste isn’t anywhere near as bad as I imagined. It’s not good… but not horrible either. I like G3 better than G1, as the lemon and ginger provides a little kick. 4:00pm- I just enjoyed my one and only fruit juice of the day, Zing 3 (pineapple, ginger, mint and pear). Which I found yuuuummmmmmy!!!!! Happy Hour started early today! It’s now 5:30pm. I signed up for a 3 day detox, but secretly planned to do 5 days. I just decided that’s not happening. I feel like I’ve spent more time in the restroom than my office today. I have one ugly headache happening. I just looked at the stop watch I set on my phone last night after eating. It’s now been 21 hours since I last ate. Happy hour is over. 6:20pm- After packing up my remaining juices, I headed home having the last of my Greens 1 (celery, cucumber, kale, lettuce, parsley and spinach) on the ferry back to the island. After noticing my bright green juice, a lady on the ferry asked where I bought my juice. I told her not in Tsim Sha Tsui, but rather in Soho @ the new Pressed Juices. As I sat there learning how hard it is to find green juice in TST, I knew this green stuff was more powerful than I expected. As this was the first time in nearly 3 years anyone had approached me for a conversation on the ferry! As soon as I got home I was ready for a drink of water, so I pulled out my Refresh 1 (aloe vera filtered water). I wanted to make sure nothing interrupted my sleep, so I stayed up until around 10:00pm, before going to bed. DAY 2: I started day 2 with a melt down (both literally and figuratively speaking…) at the juice shop. The juice shop wasn’t open at 8:00am…. as they said they would be… and after waiting 20 minutes in 100% precipitation, every fiber of cotton on my body was soaked with sweat. Not happy or pretty, I finally had to leave only to jump into Hong Kong’s one and only English-speaking taxi. [Side note: THIS NEVER HAPPENS, BUT ALWAYS A DREAM OF MINE!] However, on that particular morning I was not in the mood to be questioned about the World Cup and where I am from and how long have I lived in Hong Kong and why do I take the ferry and not the MTR and why didn’t I have a superman outfit under my shirt ( ??? ), as I proceeded to change in the backseat into my gym clothes, and why. am. I. so. quiet. Once my juices were delivered to my office later that morning, I downed my Greens 1 and thirty minutes later finished off my Earth 1. All seemed better once I was back on track with my juice schedule. Sending an angry email to Pressed Juices, also felt good. Having that email bounce back undelivered because I mistyped their email address, felt even better. Should I say now, my second day had moments of euphoria but was mainly filled with moments of major irritability? I didn’t think so. DAY 3: I woke up day three with lower back pain, most likely from all the liquid my kidneys had processed over the last 48 hours, but overall I felt lighter and my stomach flatter. Once I got in front of the mirror, I had a long talk with myself on how I should do another juice cleanse soon, as my face and eyes looked amazing! Even my lips were glowing. It was a really long talk. I couldn’t get over myself. So, was it life changing? I would say YES! I can’t express how proud I am of myself for doing this juice cleanse. It was a huge test of willpower and I can’t believe I won for a change! Deep down I also think the HK$500 per day cost provided additional motivation to stick to it. I will continue to eat at places like Restorations (In fact, I’m meeting some friends there this Sunday for all-you-can-eat steak…) but I will not go as often. I also plan to eat less sugary treats and reach for more fruits. And for someone who never eats greens, I now feel those days are behind me. This… IS BIG NEWS PEOPLE!! 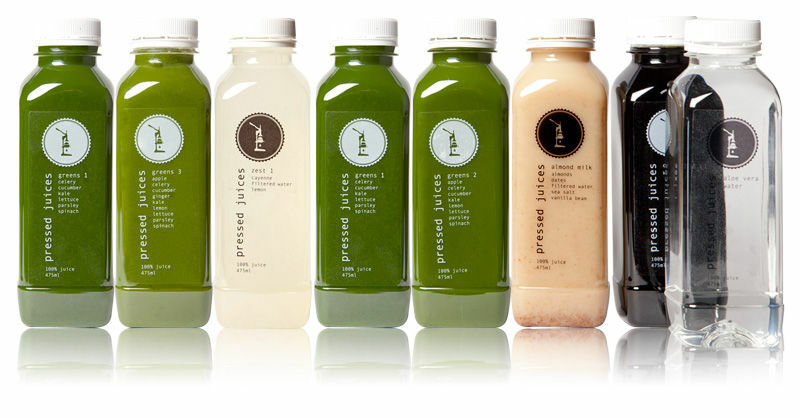 To learn more about Pressed Juices Hong Kong , go for it here! Hi Samantha, thanks for checking out my post! Before selecting Pressed Juices, I researched the market here in Hong Kong, and after reading about all the negative side affects related to juices loaded with sugars, I knew Pressed Juices offered what I was looking for and what my body needed. I’m glad I went with Pressed Juices. However, not getting my juices that morning was frustrating, so thank you for your comments and email. I will definitely take you up on your offer! Thanks Samantha!